Register now for arguably the largest surfcasting event in the world. The 2020 Snapper Bonanza Competition. 90 Mile Beach, New Zealand. 17th-21st March 2020. Early bird tickets available until 31st January 2020. Select number of Individual tickets you'd like to purchase. We require the name & gender of the additional entrants, please enter in the appropriate fields below. This information is required for prize giving purposes only. If you are a previous angler our system will allocate your last angler number if it is available. To speed up your registration, please upload a clear head and shoulders image of yourself. If you fished with us last year we should have your photo on file. This image will ONLY be used on your Snapper Bonanza official identification. If you cannot supply a photo either email us one later or we can take one during registration on Sunday and Monday prior to briefing. Please enter the additional Name & Gender for the additional tickets below. 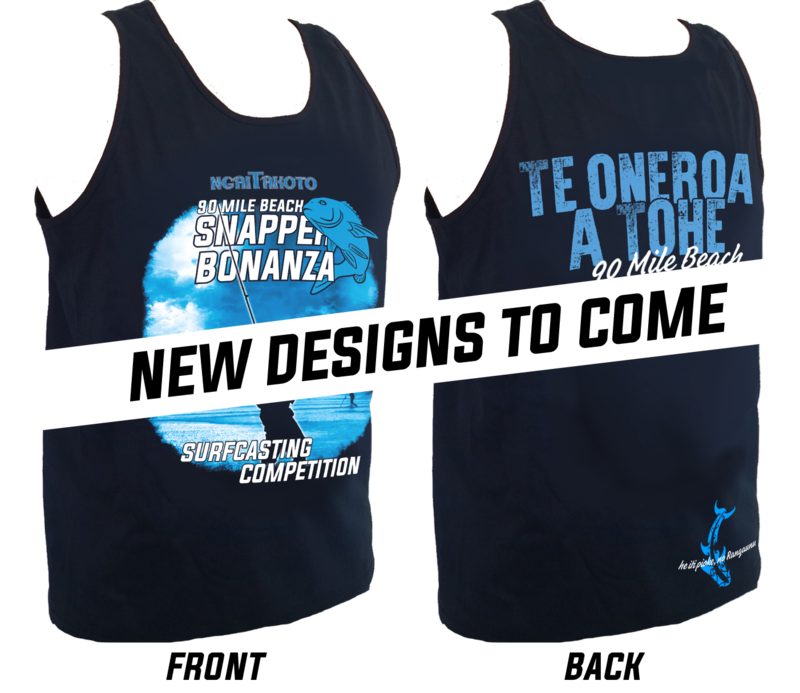 Early Bird Registration to the 2020 90 Mile Beach Snapper Bonanza competition. 17th-21st March 2020. Price includes GST.